Is a Gift Annuity right for you? Are you looking for secure sources of fixed income for now or future retirement? If you are like many individuals who own appreciated assets, you are tired of living at the mercy of the fluctuating stock and real estate markets. You recognize that if you sold your appreciated assets you would face a high capital gains tax. There is a solution, a plan that provides you with fixed income for life, avoids capital gains tax and leaves a lasting gift to your favorite ministries. This plan is called a charitable gift annuity. A charitable gift annuity is a contract between you and the ELCA. You transfer your appreciated assets to the ELCA in exchange for the ELCA’s promise to pay you fixed income for your life. The income can be quite hight depending on your age, and a portion of your income stream may even be tax free. Best of all, you will receive a charitable deduction for the value of your future gift and the joy of contributing to your favorite ministries. There are excellent options for establishing a charitable gift annuity. For current income, you may transfer property for a fixed income beginning as early as this year. Or you can establish a deferred gift annuity, take your charitable deduction now and receive payments at a designated future date. A deferred gift annuity also offers the option to establish the gift annuity now and take a current deduction while maintaining a flexible future retirement date. Several types of assets may be gifted in exchange for a charitable gift annuity. CASH — A cash gift is an excellent way to fund a gift annuity. A large portion of the annuity income will be tax free. APPRECIATED SECURITIES — Capital gains tax may be bypassed on a gift of appreciated securities to fund a gift annuity. A portion of the income stream will be taxed at the lower capital gains rate and another portion may be tax free. Myron wanted to make a gift for two of his favorite ELCA ministries and had heard that a Charitable Gift Annuity might be a good way to give. His stock had appreciated greatly over the 15 years he owned it. Because of the fluctuating markets, Myron desired to sell his stock. However, he wanted to avoid paying high capital gains taxes. Myron called Lutheran Planned Giving Services and discovered that he could transfer his stock in exchange for a charitable gift annuity. He could begin receiving income now, take a current charitable deduction and avoid capital gains taxes on the gift. Best of all, a portion of his income would be tax free! Myron decided to transfer his appreciated stock in exchange for the gift annuity and was delighted with the resulting fixed lifetime payments and the eventual gift for his favorite ministries. Sharon was disappointed in the poor return she was receiving from her savings and certificate of deposit investments. She thought about investing in stocks but felt they were too risky. 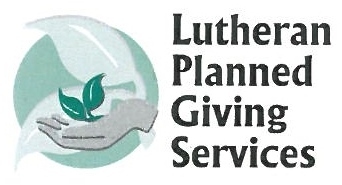 Sharon attended a seminar put on by Lutheran Planned Giving Services at her congregation and learned about the Charitable Gift Annuity. 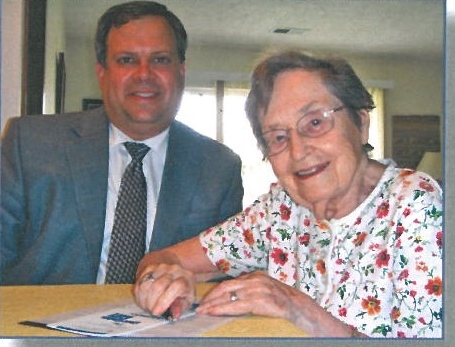 Since she recently turned 82, she learned she qualified for a fixed lifetime payment of 7.2%. She was excited about the additional tax savings of a through her current deduction and receiving a portion of the payments tax free. Sharon was comfortable with the fact that this was a gift and not an investment, as she felt she had adequate assets to live on and could afford to make this gift now. Sharon was most excited that the remainder would pass, at her death, to the ELCA ministries she so loved. All Inquiries are confidential; there is never an underlying sale, cost, or obligation.